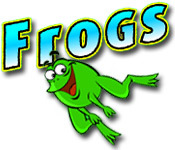 Jump these fiesty frogs over one another until only one frog remains in this hopped-up puzzle game!Hop around with energetic amphibians!Jump these feisty frogs over one another until only one frog remains in this hopped-up puzzle game! 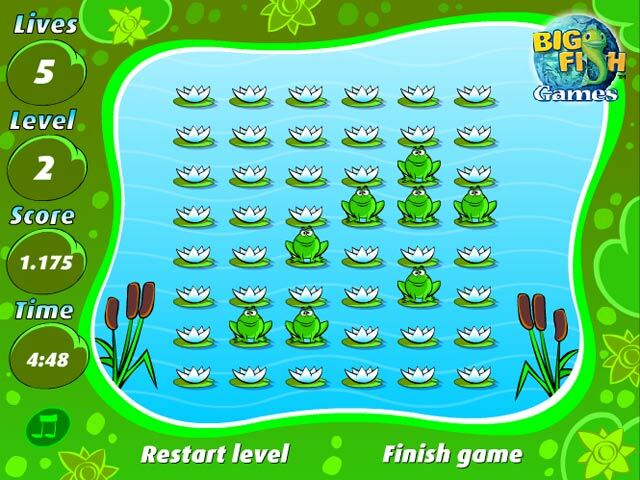 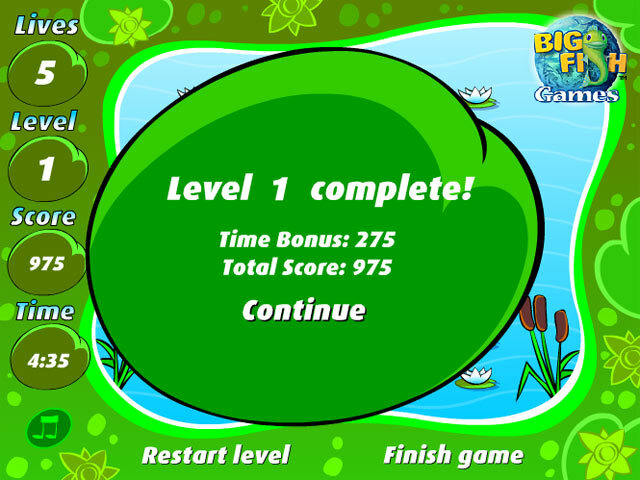 In under five minutes leap the frogs from lily pad to lily pad in any direction through fifteen challenging levels. 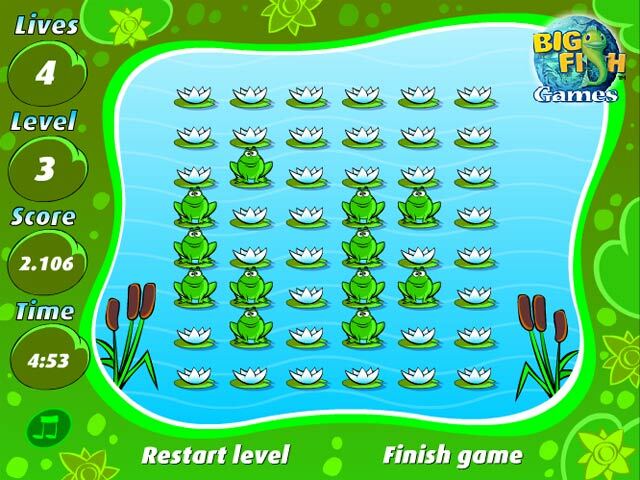 You have five tries before you're sunk, and each time more than one frog remains on the water you lose a chance.